“I was strumming the guitar and I could feel the vibrations of the instrument,” Harvey said. And that’s when she realized that she could rediscover her music through the vibrations. Harvey many times performs now with her shoes off so she can feel the beat and tempo of the music through the floor — and her singing voice is absolutely stunning. Enough is enough. It's time to take a stand. Students at East Catholic High School rose up and declared that we're more concerned with God than we are with being politically correct. We encourage you to do the same. Please watch our video...then SHARE it with your friends and encourage THEM to SHARE it as well! Peter Pretorious founded Jesus Alive Ministries in 1982 to spread the Gospel throughout Southern Africa and the rest of the world. Over the years, more than 12 million people have accepted Jesus. Peter's story is how God used an ordinary man to do extraordinary things to bring healing and hope to the devastated continent of Africa. Healed of Autism from Neill G. Russell on Vimeo. At age 4, DESMOND OOMEN was diagnosed with autism. Desmond's autism was so severe he was unable to communicate with loved ones or other children. This powerful story demonstrates how standing in persistent faith on God's Word and never giving up brings about miraculous results. An Israeli band made up of blind musicians with multiple disabilities performs "The Sound of Silent." A group of Israeli scientists believe they are on the verge of finding a cure for cancer. Sit back, relax and take a para-glide ride around the world, from the French Alps to the coast of South Africa. UCLA gymnast Katelyn Ohashi delivered a heart-stopping floor routine Saturday at the Collegiate Challenge in Anaheim, California. The 20-year-old athlete flipped and tumbled across the floor to a mashup of Michael Jackson’s greatest hit. You can’t stop watching it! Gary Stearman and Bill Koenig take a look at the current climate in the Middle East from a biblical perspective. Upon winning the college-football championship Monday night to become the first team in modern NCAA history to earn a 15-0 season record, Clemson University coach Dabo Swinney gave the glory to God on national television. “All the credit, all the glory, goes to the good Lord!” Swinney said.Swinney had been asked by ESPN’s Tom Rinaldi, “Dabo, there are few coaches in any sport who show more joy than you do. How do you describe the joy of the moment?” “Well that’s been my word all year, and I tried to be intentional with that, for me personally, joy comes from focusing on Jesus, others and yourself,” Swinney answered. Mt Sinai has been finally located, but not in Egypt. Now, unprecedented footage has been acquired from within Saudi Arabia, bringing the Exodus story to life as never before and potentially shaking up the Middle East. On a cold December day in 1988, a poor crippled Eastern Shore widow named Aunt Mary Riley shared with me the greatest Christmas gift of all. In the spring of 1990, this same 84-year-old woman was found murdered inside her one room house, stabbed to death by a young neighbor boy high on crack cocaine. According to the world's standards, Aunt Mary had nothing of value, but according to God's standards, she possessed the greatest gift of all. Once again, it is my honor to share the true story of how a 15-minute encounter with a precious lady helped me discover the only true gift of lasting value - a gift so precious, it will last for all eternity! This Christmas season, please share 'She Gave Me More' with everyone you love and care about! The incredible true story of a violin stolen from a Jewish native of a Polish city after the rise of Hitler almost doesn't deserve mention. After all, Czestochowa was the scene of one of the worst cases of genocide of World War II -- approximately 45,000 Jews were systematically murdered by the Nazis. But that violin -- a priceless Stradivarius -- was owned by the town's most famous resident, the famed violinist Bronislaw Huberman. Before the rise of national socialism, he was considered one of the most prodigious musicians of all time. Born in 1882, no less than composer Johannes Brahms praised his playing. But as a recent film documents, during the war he was a tireless opponent of the Nazis and saved many Jews by bringing them to Palestine to create an orchestra that would become the Israel Philharmonic. "The Return of the Violin" shines a harsh light on the brutality of the German occupiers and sheds light on just how Joshua Bell -- now the world's most famous concert soloist -- came to own Huberman's Strad. At 99-years-old Orville Rogers has been running longer than most people have been alive. This former air force pilot has run over 42,000 miles! It goes to show that age doesn't play a factor in keeping fit. It's your driven motivation and attitude. The Crazy Thing I Did On My 65th Birthday - One Year Ago Today! The old expression - how fast time flies - came alive to me this morning as I stared in disbelief at the same treadmill I stood on one year ago today (my birthday is October 3rd) at our local gym and attempted to achieve a physical feat few people my age (including myself) would ever dream possible. Nowhere on earth is more sanctified than the segment of the Middle East known as the Holy Land of God, Israel. In this sacred space, God entered into a relationship with the human race. This is the land described by God in Exodus 3:8 as “flowing with milk and honey”. What made the land holy? According to biblical scholar and archaeologist Jerome Murphy-O’Connor, this occurred for the Jews when the Ark of the Covenant was carried into the Holy of Holies in the Temple at Jerusalem and “the glory of the Lord filled the house of the Lord” (1 Kings 8:10). From Egypt to Syria, it was also the place where the patriarchs and prophets lived and were buried. The Holy Land is where Jesus lived, proclaimed his Gospel, performed miracles, was crucified and rose from the dead. Please share our 10 day tour of the land of Israel with your friends and loved ones. You will be blessed! Watch this fascinating video from Jerusalem's Temple Mount describing the present day cornerstone (40 foot long - 570 ton) remains from King Herod's ancient temple built in 8 BC. Healing Bible Oil video - The old Bible Jerry Pearce has used for 17 years started leaking oil in January last year and the oil hasn’t stopped flowing since. On God’s instruction, he and his colleague, Johnny Taylor have been sharing this oil freely with all who are sick and the result has been phenomenal as testimonies of healing have been received. Jewish scientist Dr. James Tour is one of the top 50 most influential minds in the world who took part in a Nobel Prize. You won't believe his discovery!!! In 2012, Barbara was dying. Today she is completely healed. Barbara says, “You keep all faith and hope in God, because He is the healer and the doctors can only do so much, then there's God. God's right there. He's got his hand on you. And you will be healed! PAUL WILBUR SHARES HIS TESTIMONY OF GOING FROM REFORMED JEW TO MESSIANIC. HE NOW HAS A WORLD RENOWNED MUSIC MINISTRY SPREADING THE GOSPEL OF Y'SHUA (JESUS). I want to personally thank my wife, Mary Ann, for making our 12-day Celebrity Summit cruise / tour of the Canada/New England coastline possible. Knowing how much I always wanted to experience firsthand the Bay of Fundy's extreme tidal changes, Mary Ann rewarded me with this dream-come-true cruise as a retirement gift for teaching Annapolis High students science for the past 45-years. Please enjoy and share this scenic-20 minute video collage of our Canada/New England cruise/tour with everyone you know! God gave Janet Morgan a vision of her future husband and healed her of a brain tumor! God has made us to feel the love in the heart of each other, and not illusions built by fame or money, like I made in my life. I cannot take them with me. I can only take with me the memories that were strengthened by love. This is the true wealth that will follow you; will accompany you. He will give strength and light to go ahead. Love can travel thousands of miles and so life has no limits. Move to where you want to go. Strive to reach the goals you want to achieve. Everything is in your heart. Dennis Quaid sings- "On My Way To Heaven"
Dennis Quaid, star of "I Can Only Imagine", sings a beautiful song he started years ago for his mother. Dennis Quaid reveals his own faith journey and inspiration for his song On My Way To Heaven, which he wrote on the set of the movie I Can Only Imagine. 17 Famous Celebrites who love Jesus Christ! Meet the famous born-again Christians who believe in God, Jesus Christ. List include Dr Ben Carson, Kirk Cameron, George Foreman, Phil Robertson, Manny Pacquiao , Denzel Washington, Devon Franklin, David Oyelowo, Angus T Jones, Mark Burnett, Tim Tebow, Ray Lewis. Kathie Lee Gifford reacts to the death of prominent Christian evangelist and personal friend Rev. Billy Graham on Megyn Kelly TODAY. “My whole family came to Jesus through the Billy Graham organization,” she told Kelly. In 2014, I weighed 245 lbs. I also had high blood pressure and high triglycerides. Thanks to aerobic exercise, I am now 50 pounds lighter. I no longer take mediations. My blood pressure and triglycerides are completely normal. Watch now as a 65-year-old non-runner with flat feet performs an aerobic feat - a 10 minute miles. Learn how you too can return to a state of youthful balance by doing aerobic exercise. This Christmas poem is such a beautiful portrayal of the human spirit and such poignant reminder of how each interaction in our lives has significance. We never know how God will be using us for his purpose! God uses us to plant seeds and then waters them and makes them blossom into mature plants through His love. Young Woman With Down-Syndrome Responds to a U.N. "Expert"
Mr. Ben Achour, expert of the Human Rights Committee of the UN, has made a speech in favor of prenatal eradication of people with Down syndrome. Watch down-syndrome girl shred his evidence. Put into a medically induced coma, Yvonne Sklar suffered multiple organ failure. She visited Heaven and got a message from Jesus for us. She was granted her life back to deliver that message! Here is Jesus's message for you and me. Executive producer Sean Hannity releases his faith-based box office success, Let There Be Light. his spiritually blind eyes to the true light that he once vehemently rejected. Jim Woodford Died. Look What He Saw in Heaven! it’s never too late to cry out to God! May this be a lesson to all of us that determination, heart, and hard work are the key to being successful. Steve McQueen truly is an American icon. Recently, Esquire Magazine noted that even 50 years after his career's peak, Steve McQueen "is still the King of Cool." Despite abounding biographies and articles on the acting legend's life, many people are unaware that Steve McQueen was a believer in Jesus Christ. Nicholas Winton saved the lives of hundreds of young Jews, one of whom was the CBS's Joe Schlesinger. Both men returned to Slovakia to attend an occasion like no other. A powerful reminder of the importance of fathers! Frank Abagnale gained notoriety in the U.S. and overseas for his fraudulent crimes. He was later hired by the FBI as an expert on forgery and document theft, becoming the subject of the film 'Catch Me If You Can'. Frank's story is a powerful reminder of the importance of fatherhood in the lives of children. Have you wondered why some 60-year-olds look and feel like 40-year-olds and why some 40-year-olds look and feel like 60-year-olds? Dr. Elizabeth Blackburn and leading health psychologist Dr. Elissa Epel have discovered that there are changes we can make to our daily habits that will lengthen our telomeres and help to keep us vital and disease-free. 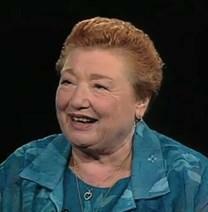 Those of us who did not experience the Holocaust firsthand can never truly comprehend it, nor can we really understand how faith triumphs over such terror, but my friend Rose Price tells her story in vivid detail of how a Jew named Yeshua not only saved this Holocaust survivor from her hellish earthly torments from the ravages of unforgiveness, but for all eternity! The year was 2014. I was sick. Sicker than I had ever been in my entire life! I had inflammation from head to toe. Every joint of my body ached constantly. At times the pain was excruciating! I was also obese. None of my clothes fit anymore. I was also up all hours of the night having difficulty urinating. My PSA, a protein used to measure prostate inflammation and cancer, was off the charts at 21. Physically, I was a 62 year-old physical wreck on the verge of receiving some very devastating news. My urological biopsy results indicated I had aggressive prostate cancer. That was last year. Today is August 5th, 2005. I am totally pain free, inflammation free, cancer free and 50 pounds lighter. (I am back to my high school waistline!!). How did I do it, you might ask? I took my own advice found at my website, bemadewhole.net. Watch my testimony and find out. The story of a violin stolen from a Jewish native of a Polish city after the rise of Hitler almost doesn't deserve mention. After all, Czestochowa was the scene of one of the worst cases of genocide of World War II -- approximately 45,000 Jews were systematically murdered by the Nazis. But that violin -- a priceless Stradivarius -- was owned by the town's most famous resident, the famed violinist Bronislaw Huberman. Before the rise of national socialism, he was considered one of the most prodigious musicians of all time. Born in 1882, no less than composer Johannes Brahms praised his playing. But as a recent film documents, during the war he was a tireless opponent of the Nazis and saved many Jews by bringing them to Palestine to create an orchestra that would become the Israel Philharmonic. "The Return of the Violin" shines a harsh light on the brutality of the German occupiers and sheds light on just how Joshua Bell -- now the world's most famous concert soloist -- came to own Huberman's Strad.